Some of the testimonials of students who have taken online java training classes. My name is Varun Narang. I am a student from Finance Background, but after taking the experience of learning Core Java from Mr Chinmay Patel, I feel that I should have taken Computer Science as my first option in my under-graduation. I always thought to myself that learning these languages like Java, C++, etc, is so much technical and hard to understand, but Chinmay Sir made it so comfortable for me to grasp the fundamentals of Java Language that I can write complicated programs with much ease and unhesitation. I think he is amazing, kind and helpful person. He has by far been the best guide in helping me incline towards IT. The best thing I like about his sessions is that his online java training is one-to-one basis and this make it so much easier for the student to ask even the silliest doubt. I am about to start my masters in Computer Science in September 09 and I am sure by the end of it I will have mastered Java, C++ and SQL, as I plan to learn all these languages from him. I can confidently say that he is an institution in himself and if anybody wants a fast career in IT, he is of all worth. Taking the online java training course from Mr Chinmay is an interesting experience. I had learned core java before and needed to learn more about java web programming. I feel I am progressing each day, through Mr Chinmay’s online training. With his knowledge and patience all concepts became very easy to understand, and now I am working on my website with servlets, jsp’s, using JDBC, JNDI custom tags and learning some of the most demanded frameworks like Struts, hibernate, and Ajax from him. I am going to finish the whole course soon. I am getting real world experience from him. He is also helping me in preparing the interview questions making me feel more confident with these subjects in less than one month.If u want to learn programming just try the demo session and u can judge yourself. Chinmay Sir has been teaching me from past 1 year. His concepts are damn good. He is quite experienced too. Moreover his nature is also very friendly. He is also very hardworking and punctual among his students. I will remember him to the whole of my life and I truly respect him from the bottom of my heart. Hi, I am Abhishek working in a software company.I was really in search of a Java Tutor ,then my brother gave me reference of Chinmay Sir’s online java training. I thought whether he will make me capable to work in java or not. I still remember my first class on 26th Sep,2009. I was really worried about the class but when my class started then suddenly my nervousness went off. He taught me with so much ease that i started grasping the things too fast. His technical knowledge and the way of teaching is so good.Whenever he teaches any topic, he tells the way to implement it at the moment only.So i feel like real time experience.He makes me so capable..That is all i have to say. Thank you sir for making my concepts clear. Hi,I am Vivek,a mechanical engineering student.Since I got placed in a software company I had to learn Java before joining. Hence, I started searching for a good tutor. I went to many reputed Institutions and found the cost to be very high, then one day while searching for Java tutions on the net, I came across Mr.Chinmay’s online java training and contacted him. He asked me to attend a trial class and then decide. I was very impressed by his teaching and I joined . Even the fee charged by him is very nominal compared to those reputed institutes. I have learned core Java from him and I am presently pursuing advanced Java and because of my strong basics in core Java(thanks to Chinmay Sir) I am able to grasp it quickly. Mr.Chinmay has been very friendly and he clears all my doubts. Because of his friendly nature even small and silly doubts can be clarified without any hesitation. Nowadays he is helping me in developing a website which is completely based on Java and will be out during the first quarter of 2010. I thank Mr.Chinmay from the bottom of my heart. I am privileged to having online java training from Mr.Chinmay. I am from Toronto, Canada. Mr Chinmay is not only very knowledgeable but his training technique is quite unique, flexible and super efficient. Also he is excellent in recognizing individual’s needs, pace, technical background and adjusts his teaching style accordingly. Even though I am in the Information technology Industry for the past 15 years mainly as a C programmer and project coordinator I acquired valuable solid base on Object Oriented programming. Thanks to Mr.Chinmay, I am confident that I can have a smooth transition from Procedural Language C to Java. I was provided with all the necessary materials and useful links to be able to practice Java programming independently. I will strong recommend Mr.Chinmay for learning Java and all the Java related technology without any hesitation. 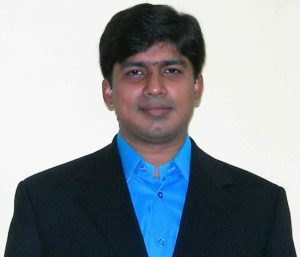 Mr. Chinmay is an excellent instructor of java and its related web development technologies. I learnt the advanced fundamentals of java web development from him. He is very dedicated teacher who can help both novice and intermediate students through structured methods. After completing online java training with Mr. Chinmay, I felt confident I could face challenging projects. Most of all, all I needed was my laptop. Mr. Chinmay helped me download and install all the tools I needed for the coursework from public domain and open source tool sites. I recommend him to anyone who is serious about learning java technology. I had long toyed with the idea of refreshing my programming skills and “upgrading” from C to Java – Chinmay’s online java training worked wonders and got me going in a very short time. I was able to cover the old ground of C very quickly, as Chinmay adapted his approach and delivery to suit my learning style, and we have now got into new territory for me – servlets and web applications interfacing with databases and rules engines. I find Chinmay’s style very effective, he is obviously extremely knowledgable and also has the knack of explaining concepts very effectively. If you are looking for tailor-made training to suit your own style and pace, I would heartily recommend Chinmay. I’ve completed the Core Java course with Mr.Chinmay and learning the J2EE concepts now.I wanted to learn Java for a very long time but of no use.Finally when I took this course with Mr.Chinmay, I could understand it pretty well.He concentrates on the main concepts of Java and will make you fully understand it from scratch.He understands student pace of learning and adjusts according to it.His approach of teaching is theory, practicals and a live project which in my understanding is the best way to learn.With all that I’ve seen, I’ve to admit he is the best.For newbies and people who want to learn Advance Java concepts, have no second thoughts about this guy.Till now the journey has been amazing and would definitely recommend his online java training. I am student of MCA 2nd year and I was Struggling With Java and its Concepts.My programming base is weak.I searched online for help in java and found Chinmy Sir’s online java training website and i was just a phone call away from Mr. Chinmy who’s helping me understand the basic concepts of Java language and we are progressing at a good rate.His technique is innovative and time saving.Since I get free from college at late evening it was a practical option to study online and where Chinmy Sir helped me.He helps me understand concepts by taking real life examples and with help of remote access facility through “teamVIewer” we practice java on my pc where he constantly guides through various steps. I would like to thank him for the way he teaches me. Thank you. Chinmay sir has been very patient and motivating tutor .Having no background in cs or I have been a programmer for more than a year. I have always found that every time one tries to learn more and more about programming the more deep and intricate it starts to get. I had my issues with learning sometimes basic to mostly advanced programming techniques and on occasions I did cross my saturation points as far as learning different modules are concerned. I have been learning from Mr. Chinmay Patel for almost a month now and I must say that I was extremely impressed with the commitment he had on offer for me. I was advised to study his notes only which were extremely cohesive and informative with the functionalities I wanted to learn. The concepts were crystal clear once presented in a one-to-one communication as compared to other webinars which were on offer for similar training modules. I found him extremely punctual with his timings as well. This is something which I consider extremely important in my strict regimented life. Chinmay Sir is an excellent teacher! I came into his class knowing nothing of JAVA but now i’m able to write programs confidently. He’s patient and kind who’s knowledgeable of the subject and is willing to go the extra step to make sure you understand the material. I think thats what separates Chinmay Sir from other tutors. He doesn’t just do it for the money but because he’s passionate about teaching and helping others succeed. I am a student of Information technology Calgary Alberta. My major is software development. I have finished my 2nd semester. I am almost the halfway of my diploma but unfortunately, I was about to change my course just because I was struggling with java. At that time I found Mr. chinmay’s website and I contacted him. I started classes just before 15 or 20 days may be, but I am pretty much sure that I am not going to change my subject and I will defiantly able to complete my diploma. This confidence comes from the perfect teaching of Mr. chinmay . He defines technical terms in very simple language so it’s much easier to understand for the people who don’t have any programming background. To give example he always choose very familiar and real world object [car, servant, temple] so here, trick is you can connect that real world object to the programming logic that helps a lot to develop your logic. Overall I would highly recommend to the student of North America who facing the same difficulty that I did. It is very important to have clear fundamental of language to write a program and Mr. Chinmay is helping us to make strong foundation of our carrier. When I first googled out for Java online classes, I came across Mr. Chinmay’s website. I was initially skeptical as to how effective these classes would be and then Mr. Chinmay before starting out, gave me a demo class. I was totally impressed by the way he did the whole session in an organized fashion. Every class has been planned out well and after every class my basics on that concept gets so strong. While coding, these examples his lessons are so useful that I feel that over these classes, my coding skills and my knowledge of the object oriented concepts have improved really well. 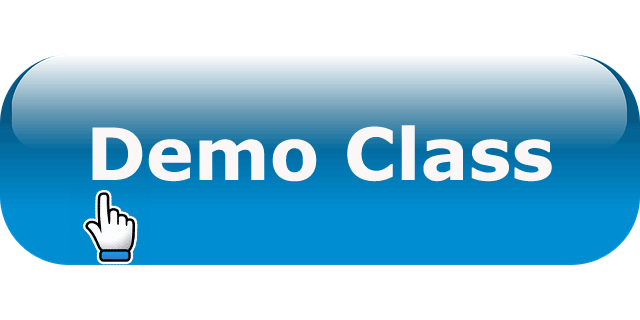 If you are someone who is like me really skeptical about how remote classes would work, please dont think a minute, and take his demo. You would really like it and definitely become a good programmer after you take his classes regularly. After all the stops and starts of studying java in classrooms and buying all the books for several years, I finally found something that really works. I am understanding eveything from the basics that are easily taken for granted by other instructions. Chinmay has a talent for breaking down the complexity of concepts to simple analogies. I highly recommend his services. It was when my exams came near, I realized that my Java was very weak and I was badly in need of help. That is when I came across Chinmay sir’s website. He is an amazing teacher, he made Java seem so simple for me. What I liked about Chinmay sir’s teaching was that he was very patient and used examples from our daily lives to explain the concepts. Now, after having learnt from him, I am confident of doing well in Java. So, if you’re looking for an excellent Online Java Training, I suggest you contact Chinmay sir immediately. Trust me, Mr Chinmay is the best programming teacher I ‘ve even seen, I tried to search for other teachers before, non of them can teach a programming language as clear as he does. I also listened to other sample videos from other teachers on the web, none of them is as good as he ! After taking his class, i think I can start programming now. He is the best teacher you can find, don’t miss the opportunity! Chinmay is adept in imparting training in many of the J2EE based web technologies. I am very pleased to have taken this online java training with Chinmay as it enabled me to get a deeper knowledge in J2EE technologies, having worked on structured programming and databases for a major part of my career. I am taking j2ee course with Chinmay Sir. If I want to describe in one word ” He’s the perfectionist”. I was looking for someone who can clear my fundamentals in depth. He’s the one having the crystal clear base. Moreover the way of teaching is excellent. He is friendly and most importantly he explains until you’re pretty clear with the doubt. In nutshell, I’d of course recommend Chinmay sir for excellent online java training. Chinmay is a very experienced and patient coach for Java and JEE. Although I knew some core Java and JEE concepts from before, but I lacked the hands-on experience working with the jars. With Chinmay’s structured materials and assignments, he was able to guide you step by step to gain hands-on with guided coding in Eclipse IDE with simulated scenarios like member log in, products, shopping cart and check out page, and of course with the underlying object-oriented logics. It was worthwhile to learn from Chinmay of the different Java & JEE topics, because that trust for professionalism is there and I found myself to be naturally picking up the stuff with no doubts or needing to go back to double-check on the materials learned. I think that quality is rare and most important for a tutor.